We develop functional sites that generate leads. All the websites we develop score a 95 or better on Google’s Page Speed Insight test. Our websites allow your visitors to get the information they need, faster than your competitors. Need to update or make changes to your website? New Offering? No worries. Changes are made easy with our team, or we train you or your in-house staff to make edits. Simply email us and we’ll get it taken care of within 24 hours. 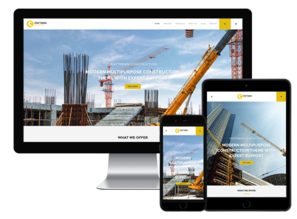 Our websites are developed and built to be the be all end all for small to medium-sized businesses offering top-of-the-line performance, design, and marketing implementations. As your business grows your site can also. The digital world doesn’t stop for anyone, especially small businesses that don’t have time to build and manage their online presence. Our highly trained staff and Google Certifed professionals are aware of the almost daily changes that affect the digital world. As a result, your online presence will always perform better than your competitors. MYC includes all these great features. Professional designer works with you. We take care of the website setup. Full Google Analytics tracking & reporting. Advanced design utilizing the latest HTML5 and CSS – no flash at all! Call 954-916-9800 or Click to Contact us Today for your FREE mobile web site consultation!